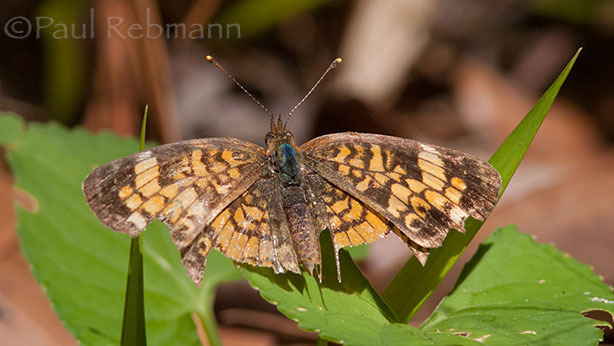 A butterfly of sandhills, flatwoods and ruderal sites, including canals in much of Florida. The range extends throughout the eastern United States west into the Rocky Mountains where they are more likely to be found along steams. Into Canada along the St. Lawrence, around the Great Lakes and the southern regions of Alberta and British Columbia. 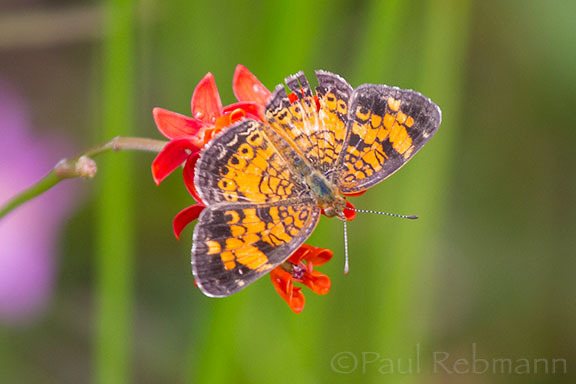 Pearl crescents are small orange and black butterflies similar to the phaon crescent but without the black-bordered yellow band across the forewings. The undersides of the wings are pale yellow with brown markings. The larval host plants are some of the true asters (now in the genus Symphyotrichum). 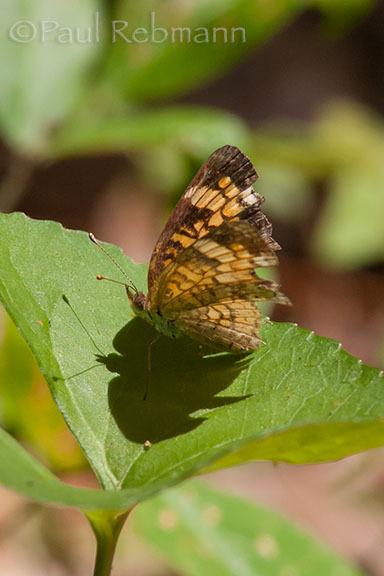 Phyciodes tharos is a member of the Nymphalidae - Brush-footed butterflies family.